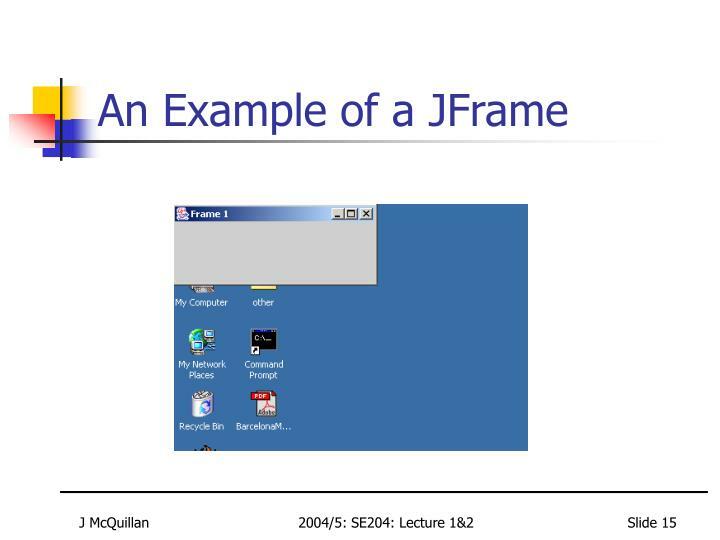 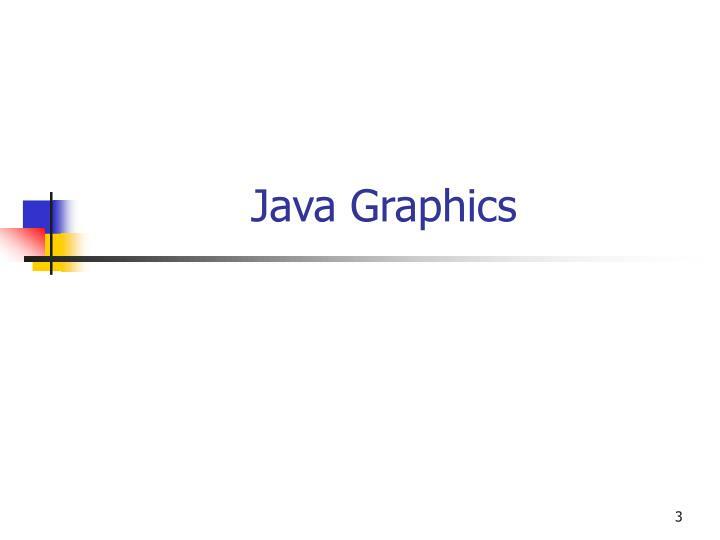 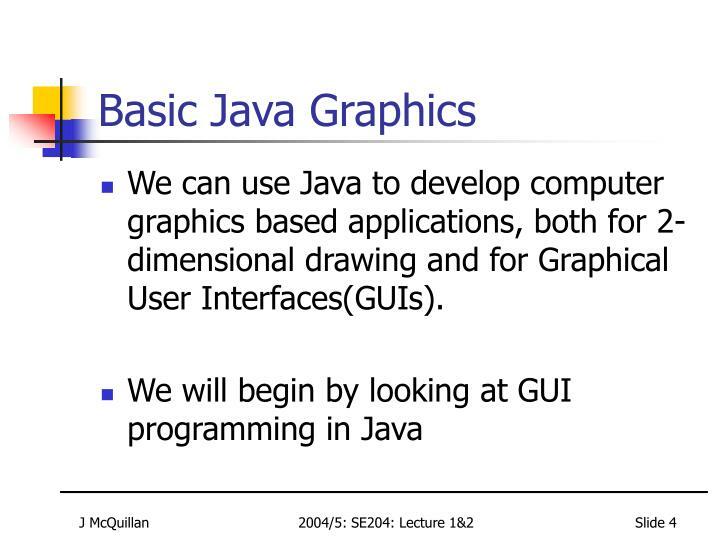 We can use Java to develop computer graphics based applications, both for 2-dimensional drawing and for Graphical User Interfaces(GUIs). 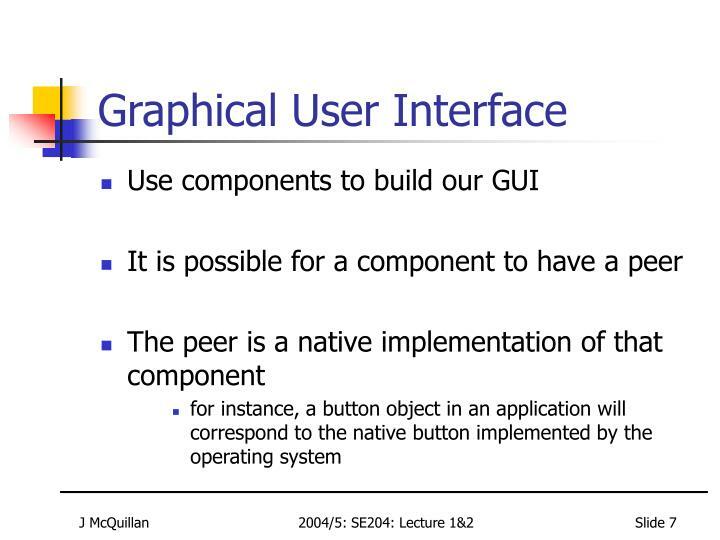 Components:These are the building blocks of GUI based applications. 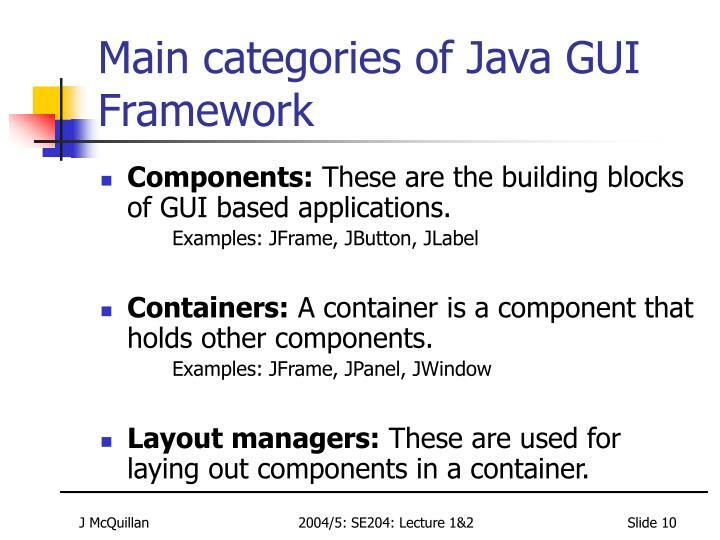 Containers: A container is a component that holds other components. 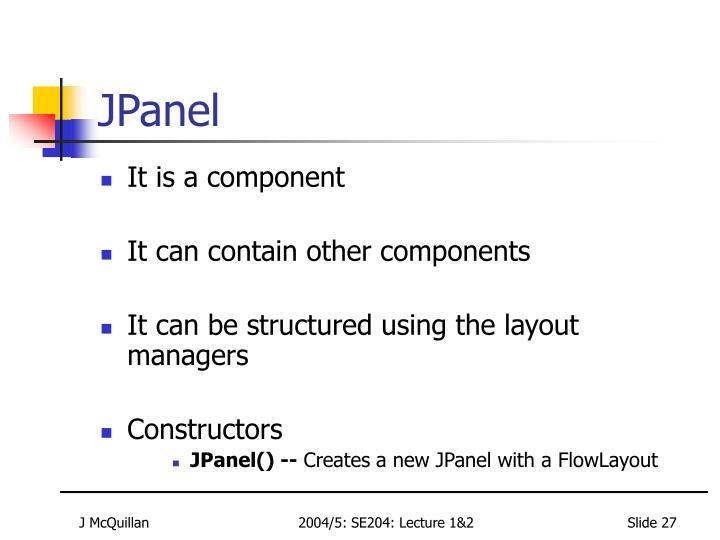 Layout managers:These are used for laying out components in a container. 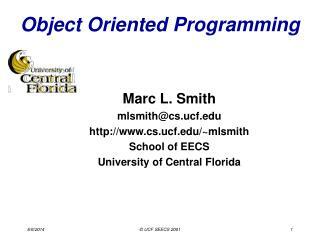 Events: An action is translated into an EventObject. 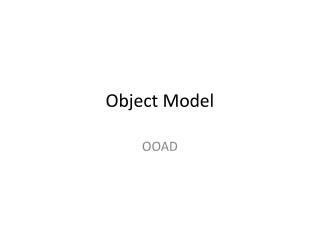 This object contains details about the event including type of action and where it occurred. 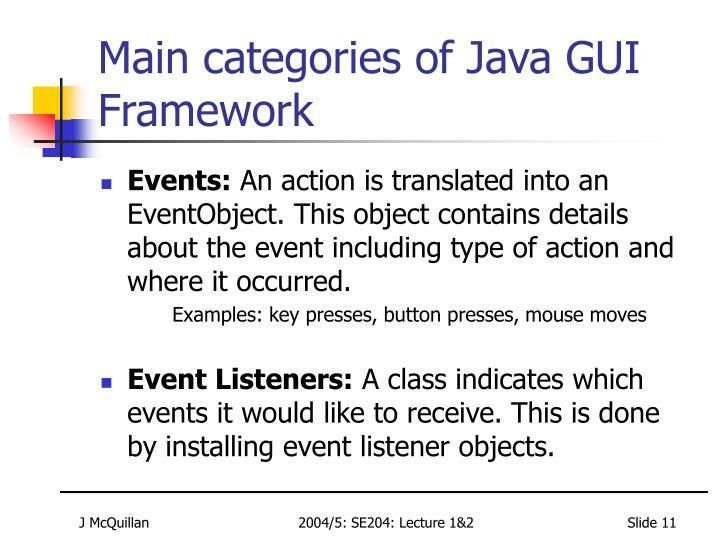 Event Listeners: A class indicates which events it would like to receive. 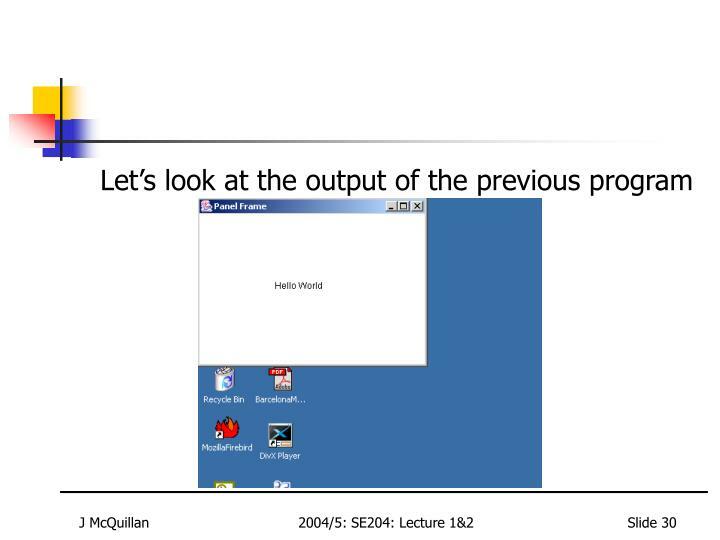 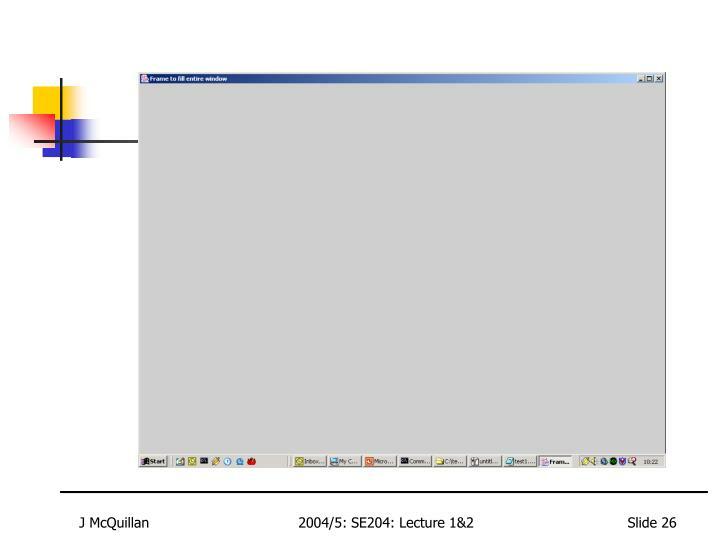 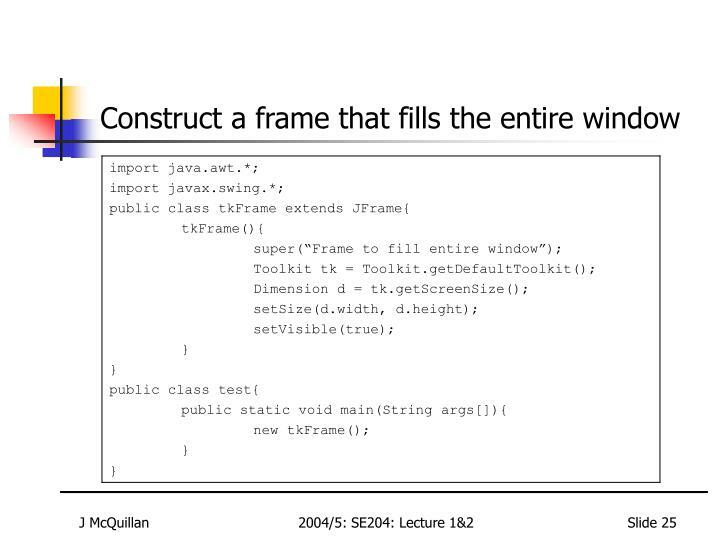 This is done by installing event listener objects. 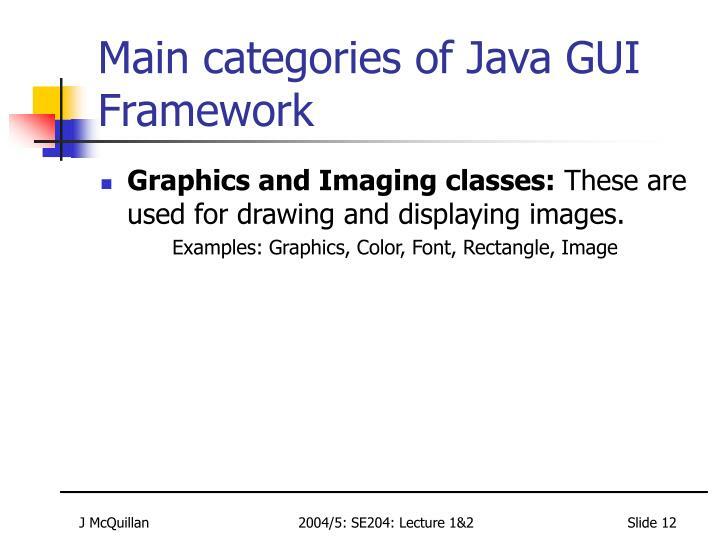 Graphics and Imaging classes:These are used for drawing and displaying images. 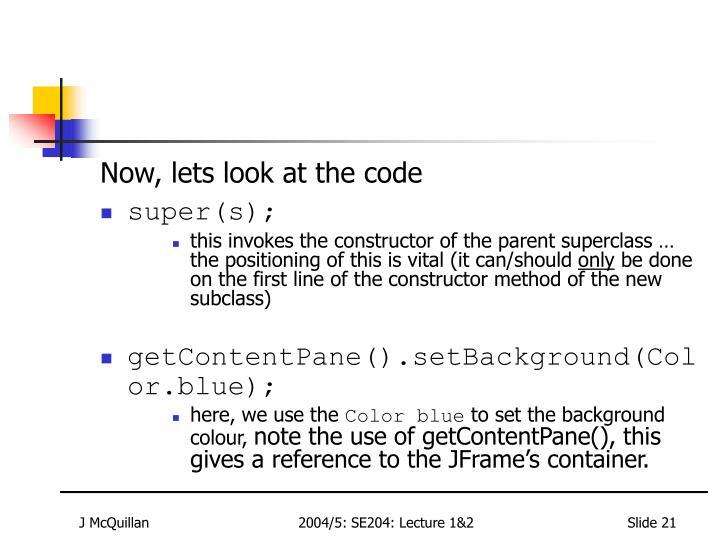 here, we use the Color blue to set the background colour, note the use of getContentPane(), this gives a reference to the JFrame’s container. 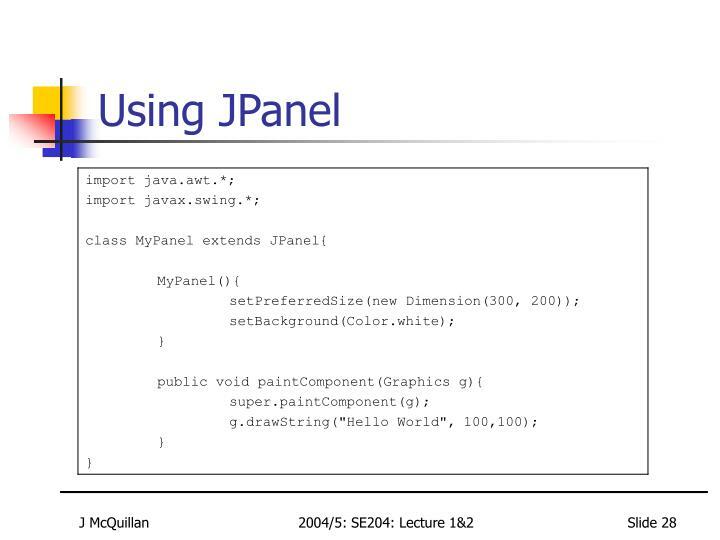 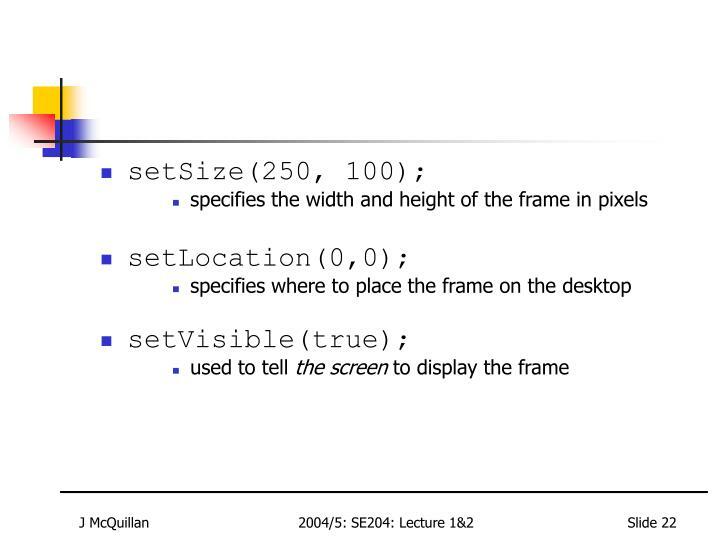 This is an abstract class that provides an interface to platform specificdetails like window size, available fonts and images. 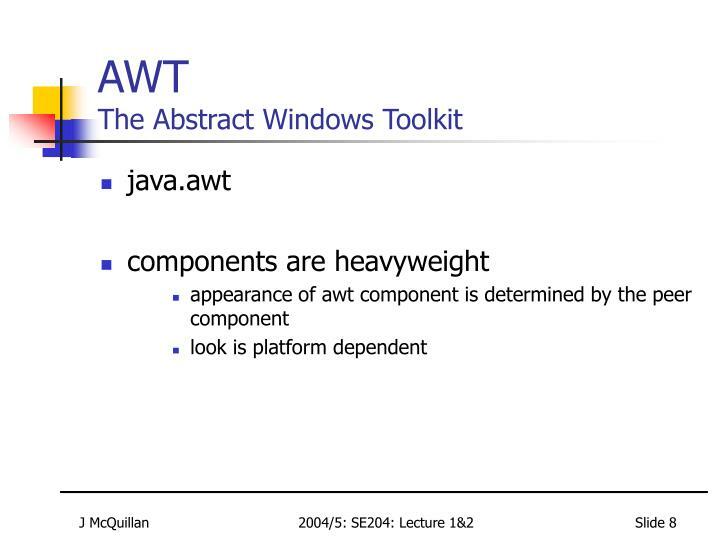 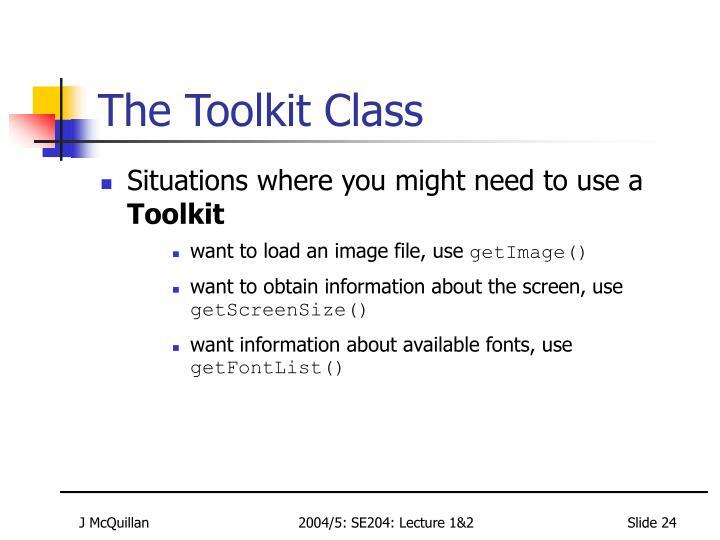 We never directly instantiate an object of type Toolkit. 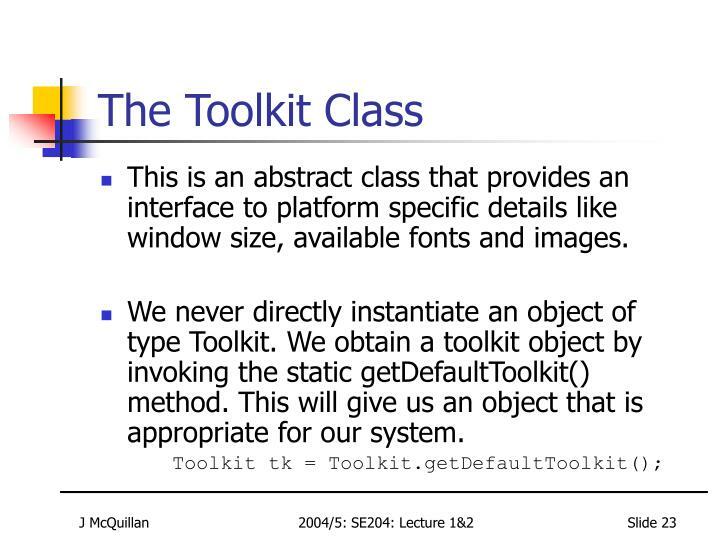 We obtain a toolkitobject by invoking the static getDefaultToolkit() method. 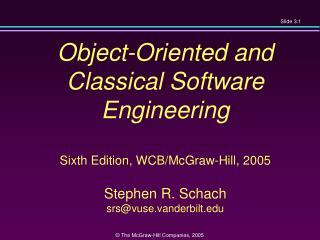 This will give usan object that is appropriate for our system. 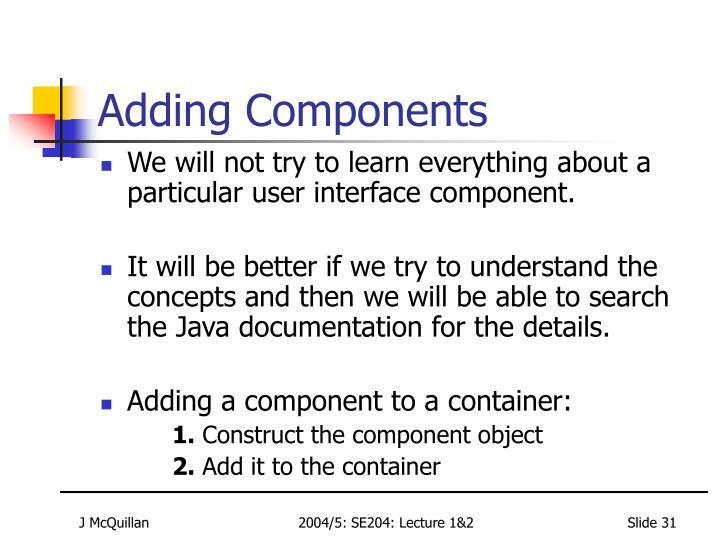 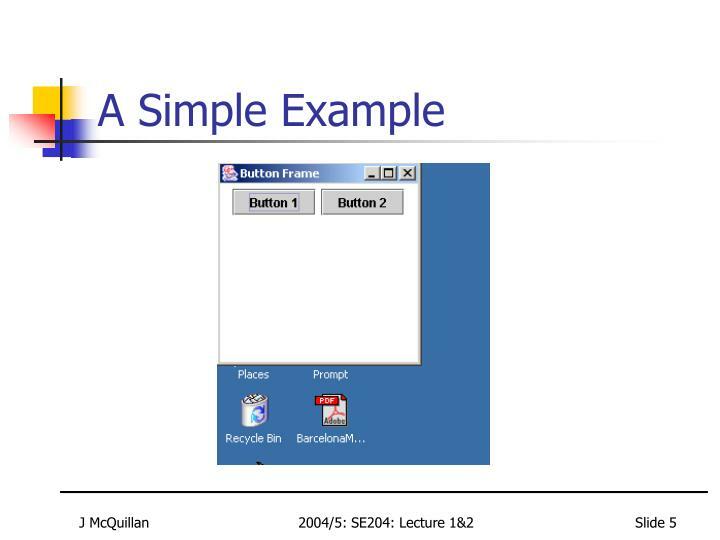 We will not try to learn everything about a particular user interfacecomponent. 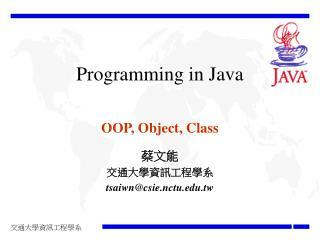 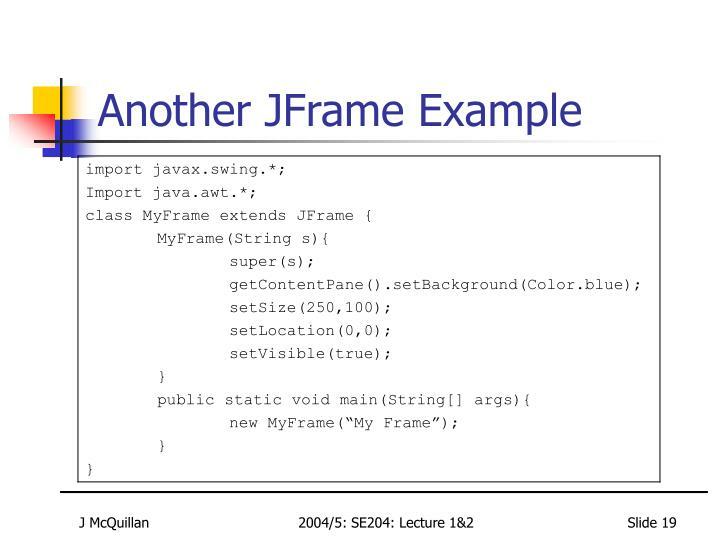 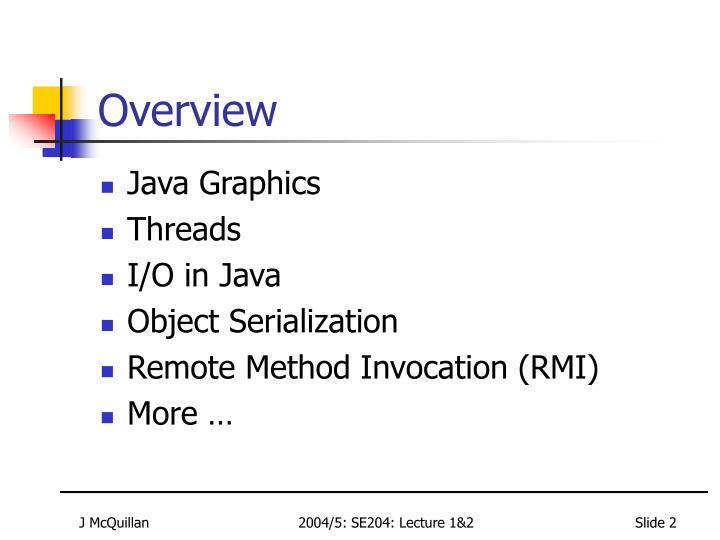 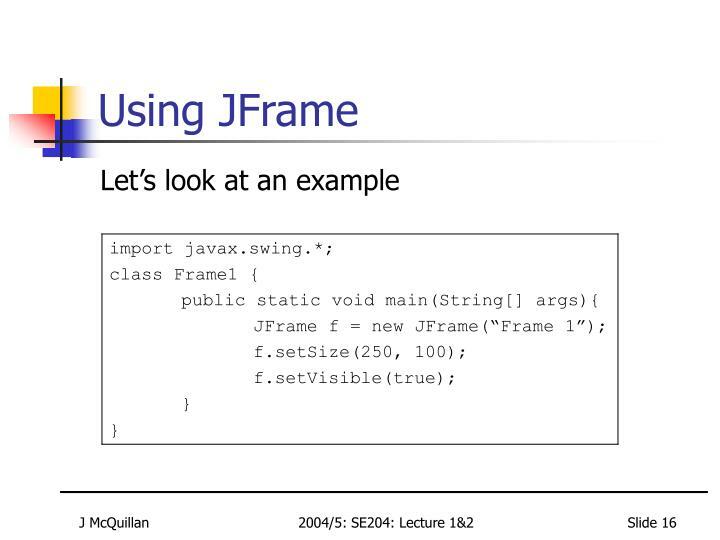 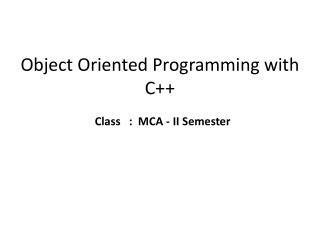 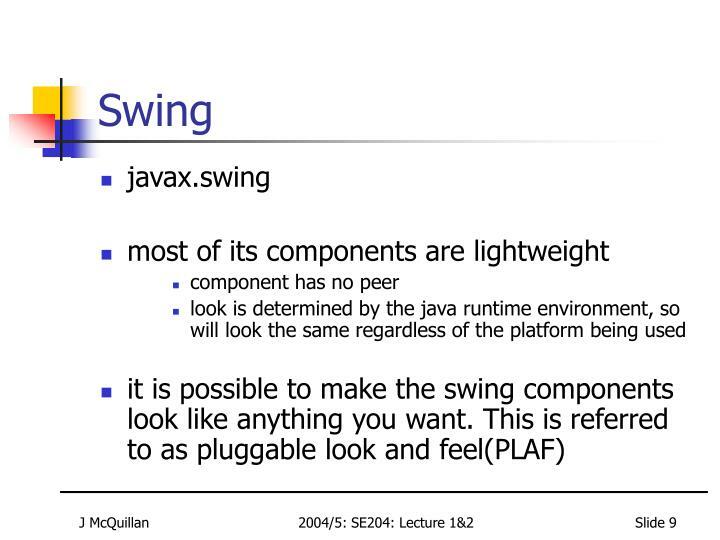 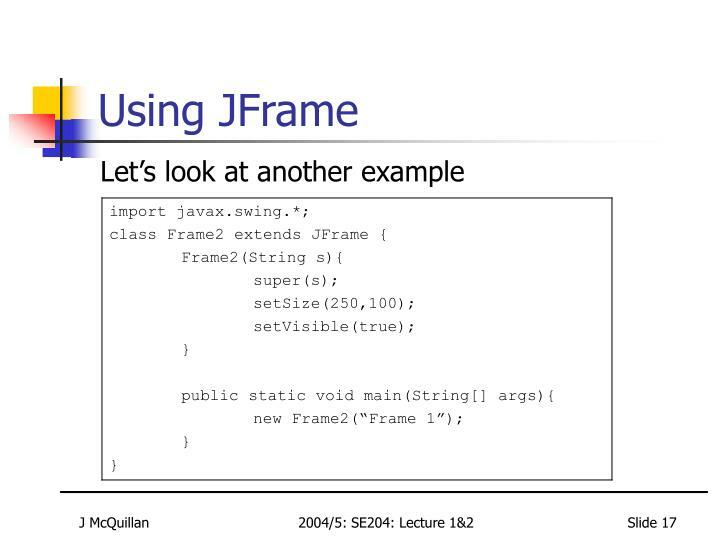 It will be better if we try to understand the concepts and then we will beable to search the Java documentation for the details. 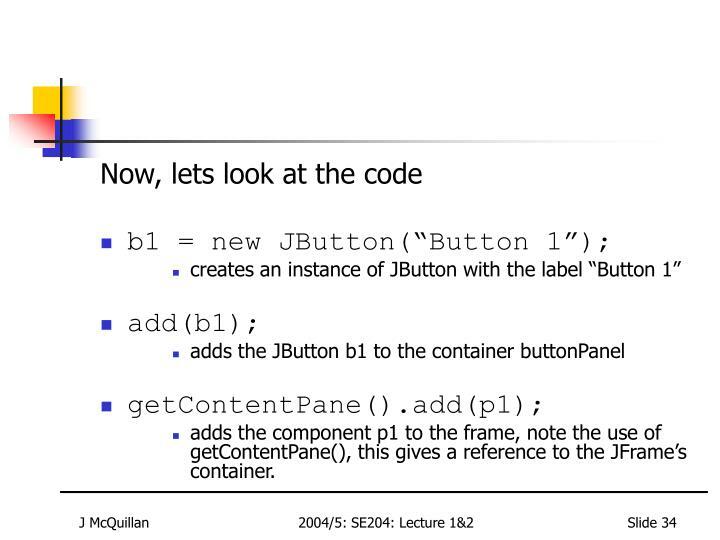 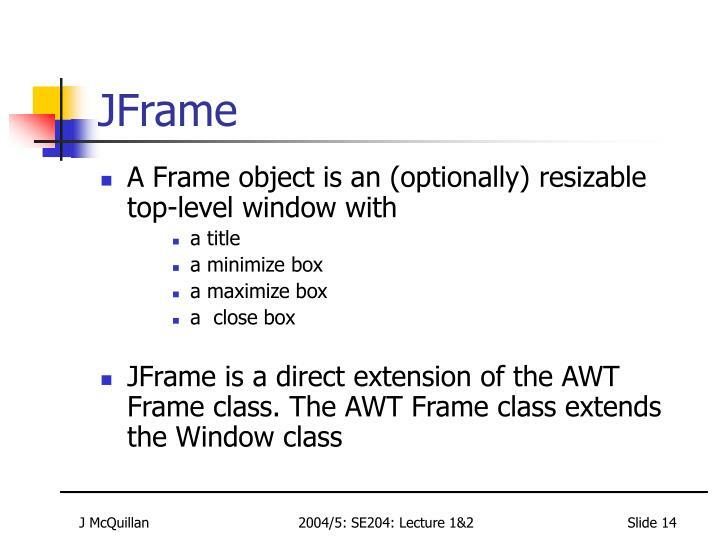 adds the component p1 to the frame, note the use of getContentPane(), this gives a reference to the JFrame’s container. 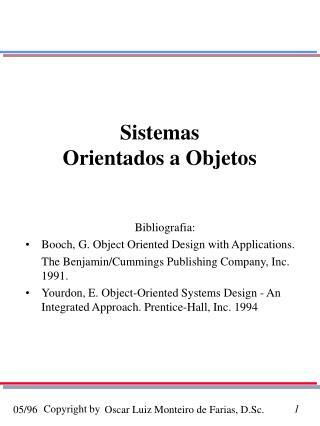 Sistemas Orientados a Objetos -. 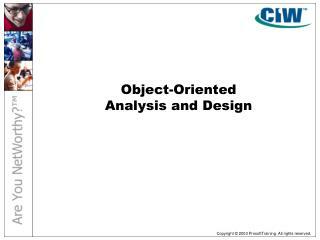 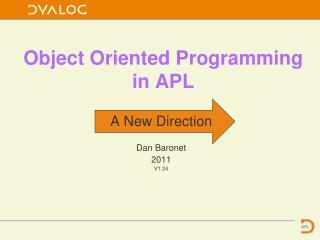 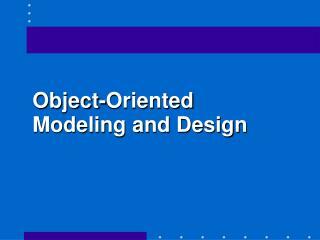 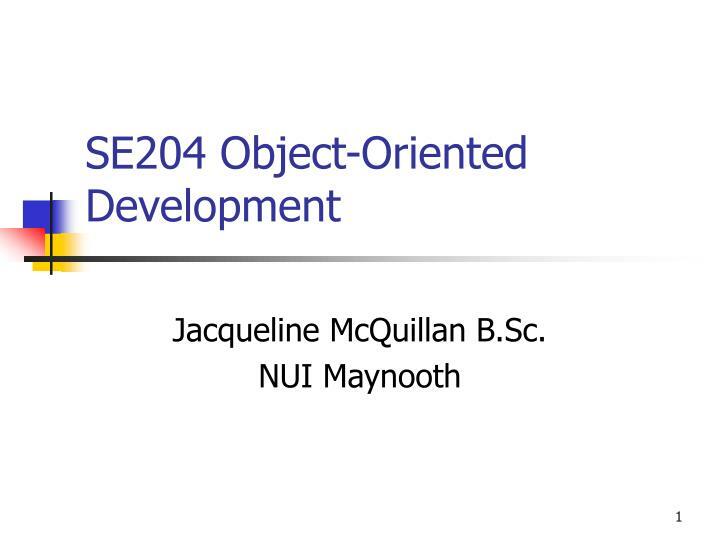 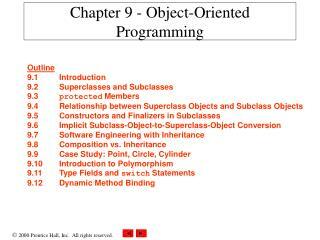 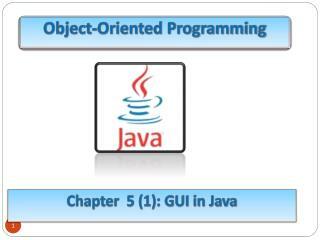 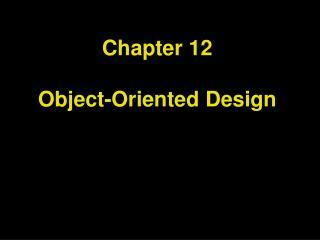 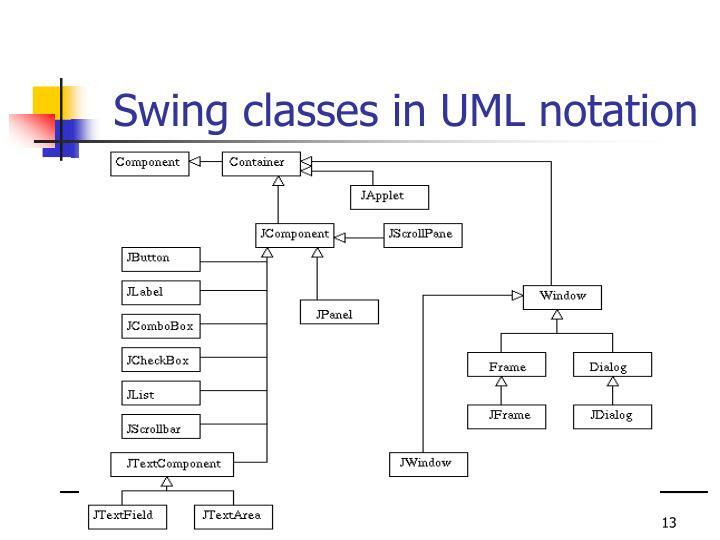 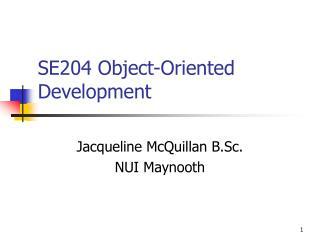 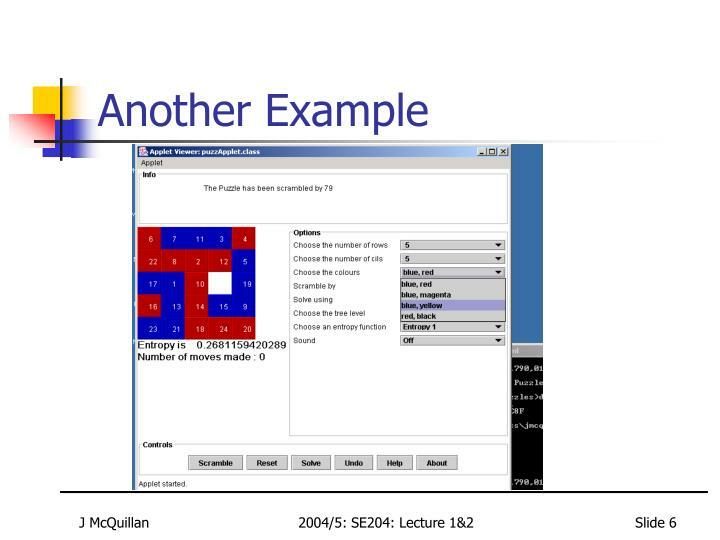 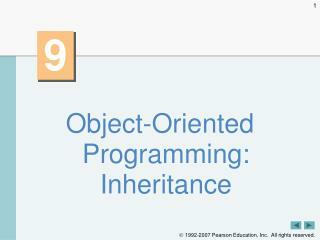 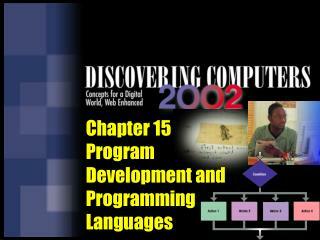 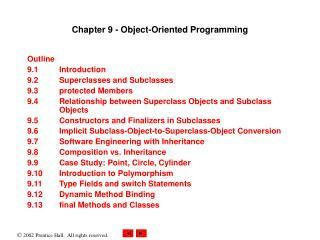 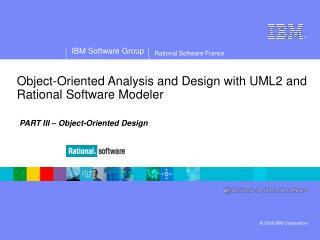 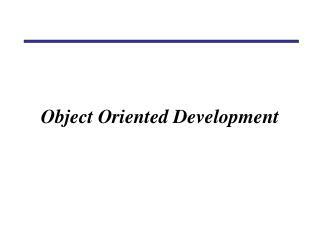 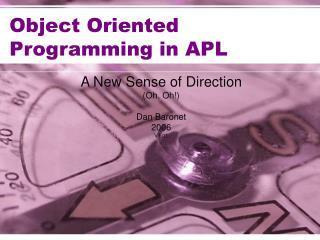 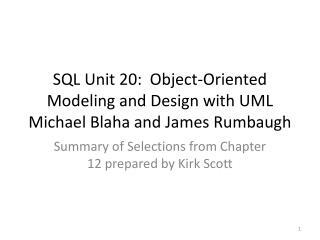 bibliografia: booch, g. object oriented design with applications. 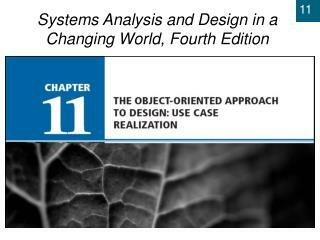 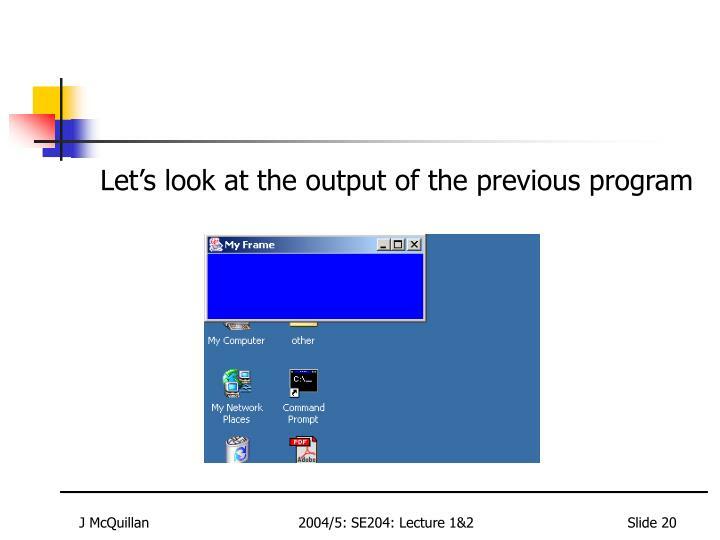 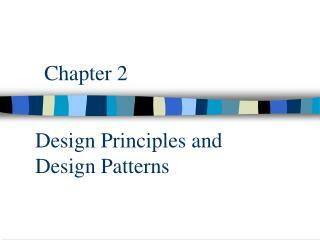 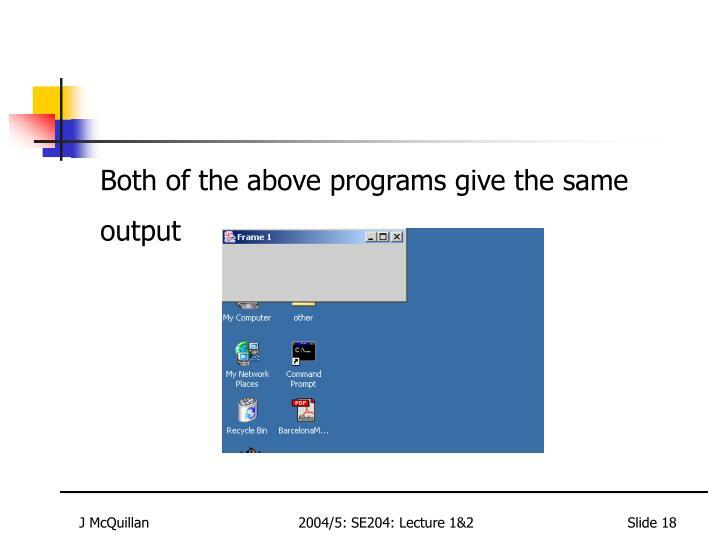 the benjamin/cummings publishing company, inc. 1991. yourdon, e. object-oriented systems design - an integrated approach. 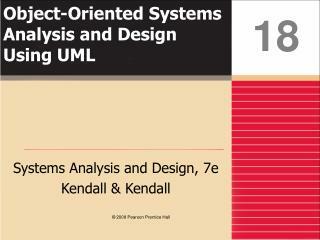 prentice-hall, inc.